Power Poppy had a weekly color challenge that I loved to play along with called Hues to Use. 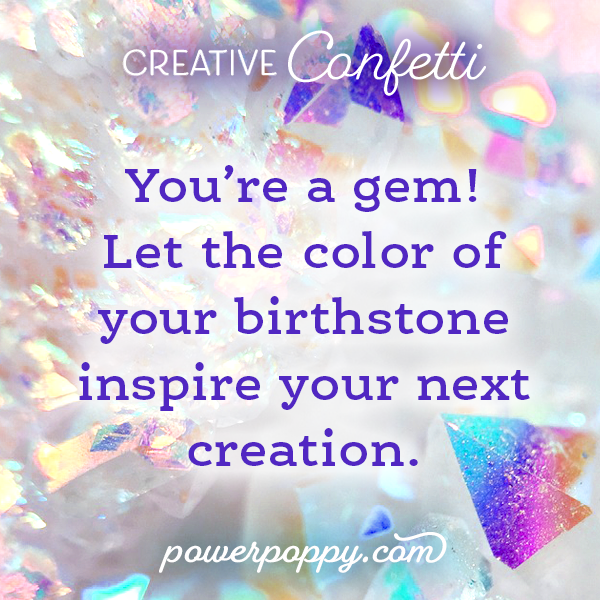 They revamped it and it is now called Creative Confetti and while still a color challenge there is going to be a different theme each week. 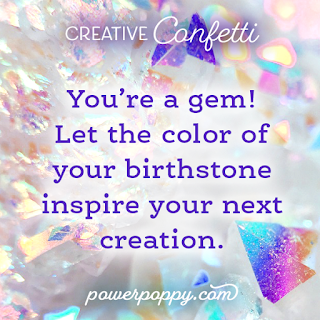 For the first challenge we are to use our birthstone as inspiration for our card. My birthday is Oct.11 and the birthstone is opal. I am such a literal person that I really wasn't sure how exactly to take the colors of the stone and translate that to a card. Opals have so many colors, when you move them around you can see yellow, green, purple, red, gray, etc. 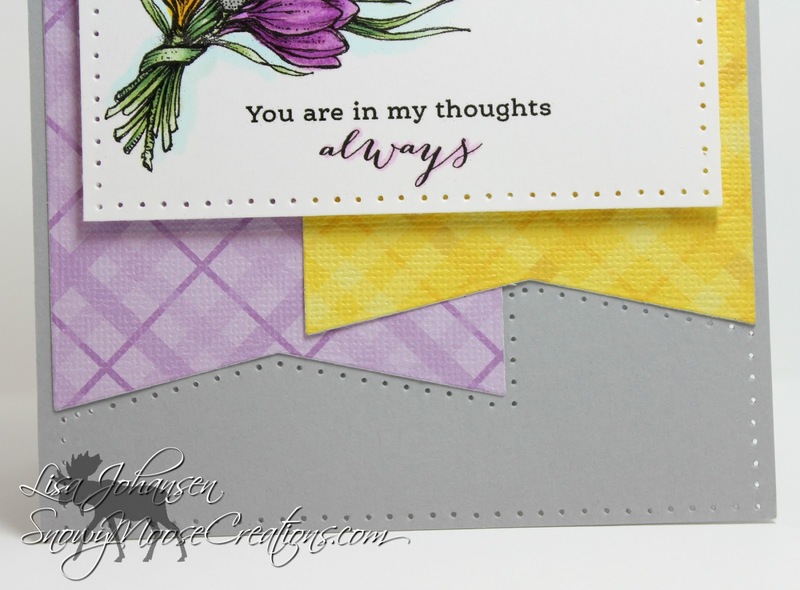 After going through all the clear and digital Power Poppy stamps I own I finally settled on the digital image Winter Pick-Me-Up. This image was perfect for being able to bring out the brighter colors found in opals but also the gray and white hue it's known for. I used my rings for inspiration....the one on the left belonged to my grandmother. My dad's youngest brother is an Oct baby, as are 4 out of the 5 grandkids my grandma had (including me). My grandma had a Mother's Ring that she wore and I used to love sitting on the floor next to her and moving her hand around so I could watch the opal change colors. When she passed in 2008 I was given her wedding ring set and this opal ring, so they have a tremendous amount of meaning to me. The ring on the right was a 16th birthday present to me from my parents. First of all, I absolutely love opal! And, I didn't even think of all the challenges that could arise when Marcy and I chose this topic. But, as always, you ladies rose to the challenge and have amazed us! 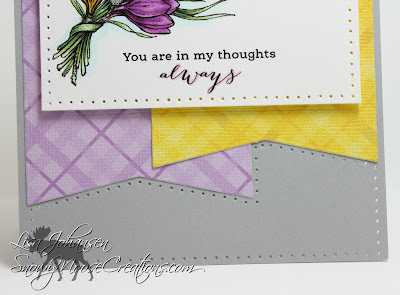 This is a gorgeous card and I love the inspiration photo! 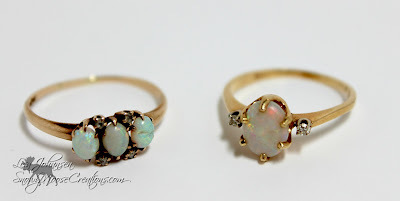 Opal is a gorgeous stone that's magical. 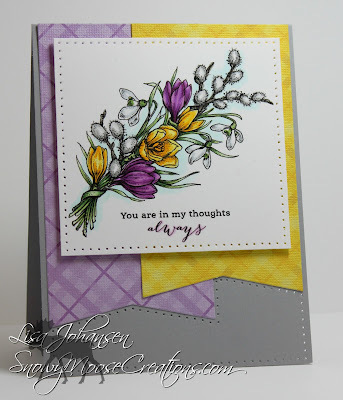 what a pretty card and beautiful colors.